Johan Santana IS An Ace After All! Yes, it’s odd, but I’m a Red Sox and Mets fan. I must love suffering at the hands of the Yankees. Anyway… that’s ancient history right now. About half way through this season, a good friend of mine who’s a big Yankee fan, asked me if I was happy with Johan Santana. At that point, Santana hadn’t pitched awful, but to my friends’ point, he wasn’t looking like a 140 million dollar man. Tonight, Santana got his 15th win of the season. It was a big win. Maybe even a million dollar victory. With the Mets seemingly intent on re-enacting last years’ collapse, Santana struck out ten in eight innings while giving up just two runs as the Mets defeated the Cubs 6-2. The effect? The Mets’ three game losing streak is over. And they moved within a game and a half of division leading Philadelphia. Notice how I didn’t even mention the wild card in this paragraph? Anyway, Santana did exactly what an ace should do. He put the skids on the skid. And he’s been at it a while. Santana is known for being a second half pitcher. This year is no exception. In his last 16 starts, Santana is 8-0 with a 2.26 ERA. That, my friends, is an A-C-E even if this year his 15 plus wins won’t result in an C-Y Y-O-U-N-G.
Here’s hoping the Mets don’t blow it for him and give Johan Santana the chance to pitch on baseball’s biggest stage this fall. Hank Steinbrenner loses his mind. It’s good to be a Red Sox fan! Showing himself to be more like his dad with every passing explosion, Little Steinbrenner went off recently about Yanks Phenom Joba Chamberlain. In a season in which, so far, the young Yankee pitching (they resisted trading for Johan Santana) has let them down, Hank could take no more. It was time for the chip off the old block to pull one of his dad’s favorite moves. Pointing the finger of blame squarely at somebody else. Hank has just come out in favor of Chamberlain joining the Yankees starting rotation as soon as possible. But, that wasn’t enough for him. He had to get to the root of the problem. He needed someone to blame. It was Joe Torre or maybe it was Brian Cashman, but it was NOT him. That much was VERY clear. According to Hank, Joba was handled the wrong way last year. Rather than being used as a set up man, Hank thinks Chamberlain should have been put straight into the Yankee rotation. If Ian Kennedy and Phil Hughes keep pitching like Ted Kennedy and the late Howard Hughes (ok, that was an admitted stretch…) respectively, then The Little Stein will soon get his wish. 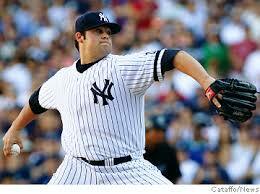 And how will Joba do in the starter’s role this year? Not as good as Hank may think. First off, kiss a few miles off of his fastball. If Chamberlain’s going five plus innings, he’ll have to pace himself. Secondly, while he has two fantastic pitches, his other two are not as stellar. Major league hitters will exploit that relative weakness when he’s forced to throw them more. And lastly, how exactly is he getting tuned up to be a starter? Do you send him down to the minors for a while in the middle of a pennant race and give up your eighth inning lights out set up guy? As a Red Sox fan, I certainly hope so. I’d love to see Joba only once in a seven game series rather than three or more times. 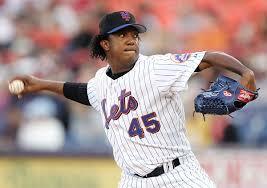 Pressure on Mets and Santana Not to Blow It! After someone how fleecing the Twins of Johan Santana for an offer of prospects that just didn’t look as good as either the Red Sox or Yankee offers, the pressure is on both the Mets and their prospective ace to get a deal done. The two sides have until 5PM Friday. If all goes well, Mets’ fans will have something to celebrate this weekend. If Santana somehow slips away on the other hand, it will be a bigger collapse than the Mets experienced at the end of last season. My simple advice is pay him whatever he wants. The Mets simply can’t overpay him. Johan will rule the NL. Look for his ERA to drop substantially. Don’t believe me? 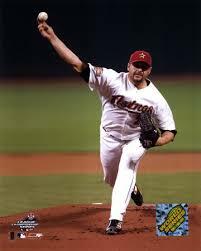 Check out Roger Clemens stats with the Astros. Steroids not withstanding, at an advaced age, Roger posted much lower ERAs once he swapped leagues. Frankly, the Mets need Santana. They need him to get rid of the ugly aftertaste of 2007. They need him as the centerpiece of a team opening a new home stadium. They need him to take the ace spot from a very brave but possibly brittle Pedro Martinez. The flip side is that Santana needs the Mets too. He’s grown tired of seeing good players escape Minnesota. He’s a big market talent looking for the money and stage that only a big market can provide. Does he really want to go back to the Twins and wait out more months of trade rumors before the Twins give him away again? Make this thing happen and let us focus on the Super Bowl already!